Oh, you know…just getting married. That’s us in November 2013 right after our wedding on the left, and us in September 2011 during our “official” visit on the right. 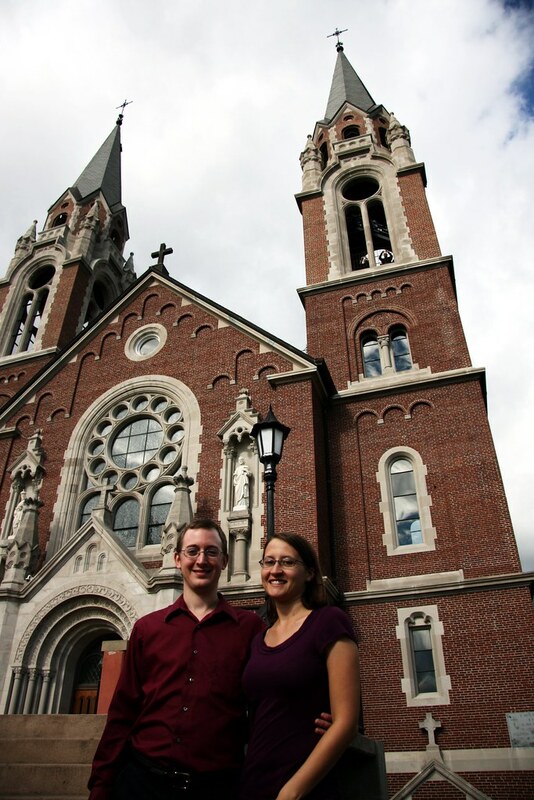 We even revisited basilica #19 (yes, I am that behind) on our honeymoon – to our surprise, we were just 15 minutes away. Life is beautiful. 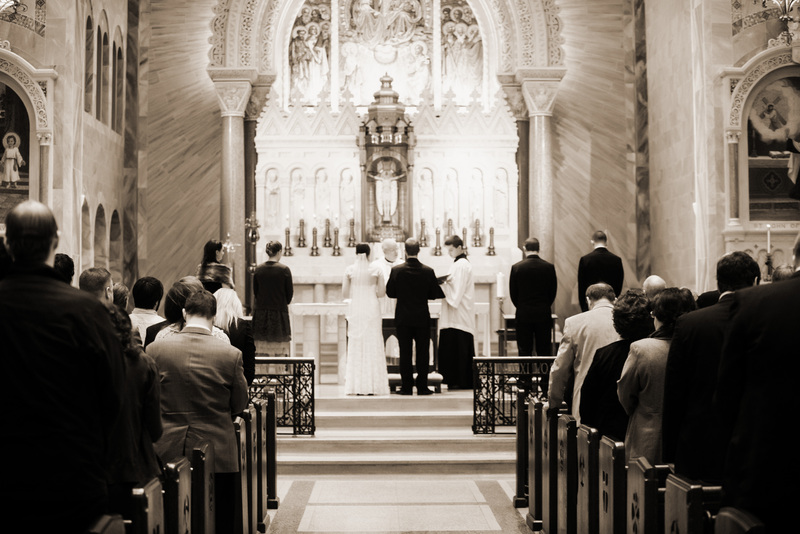 He proposed just outside the church after midnight Mass on Christmas Eve in 2012, and we were married on November 16, 2013. Although we still love visiting basilicas, we’re no longer long distance. While that update has been the highlight (and the most pertinent to this blog! ), it’s just been a busy year with numerous big events. But now that I have some research published, achieved dissertator status in my Ph.D. program, and have one conference visit for this spring out of the way, I’m hoping to start getting some more of these basilicas posted, since I’m approaching two years behind on some. Or, at the very least, I’ve committed to blogging every day for a week, starting today. The guilt (and my now-husband) have been prodding me to get started again, and this challenge seemed like the perfect opportunity. I might taper out towards the end, courtesy of a conference trip to Germany (hello, Cologne Cathedral), but hopefully I’ll start the monumental task of tackling my backlog of posts! The first and second photos in this post are courtesy of our fantastic wedding photographer. Congratulations! What a gorgeous setting for your wedding. And hooray for no more long distance! My PhD student husband and I are loving that too. Dissertating is less tedious when you have a study buddy.